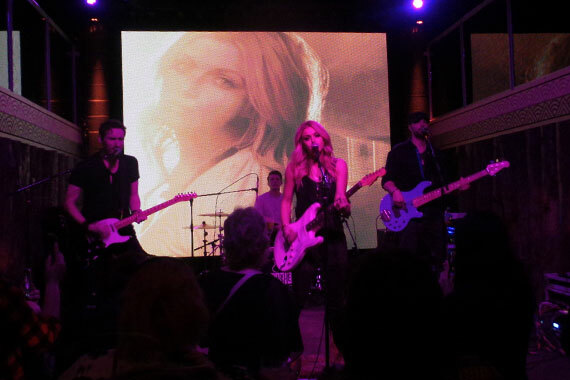 BBR Music Group’s Jon Loba welcomed industry and superfans of Lindsay Ell to the Germantown Nashville lounge, The Back Corner (TBC) on Thursday, March 23 to preview her EP, released today. Among attendees were the newcomers’s boyfriend and radio star Bobby Bones and her CMT Next Women of Country pal Lauren Alaina. Ell’s Bush-produced Stoney Creek EP—appropriately titled Worth The Wait—reveals six songs from the strikingly beautiful guitar virtuoso. Among the tracks is “Criminal,” a dynamic title most encompassing what the young artist is capable of—melody, lyrics and production. 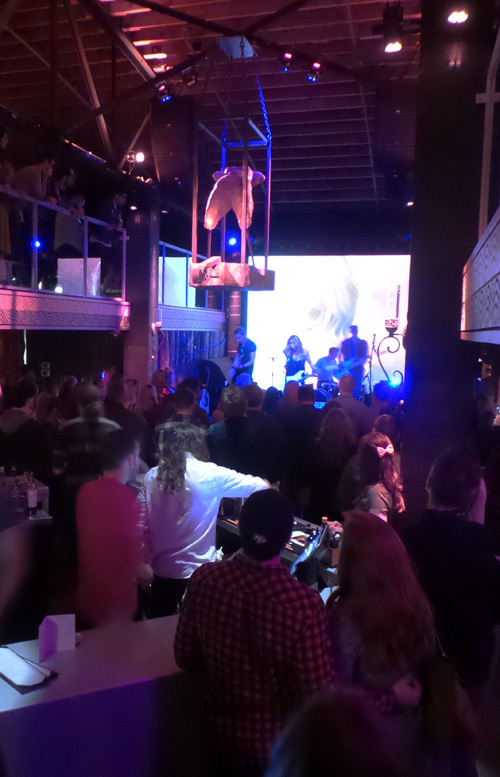 “Thank you so much for coming and thank you for giving me patience and letting me figured this whole thing out,” exclaimed Ell from the stage before previewing the EP with a three-person band. In additional to Ell-penned original titles, the EP also features outside songs, one titled “Space” from Caitlyn Smith, Heather Morgan and Maggie Chapman in addition to a John Mayer cover. “The first meeting [Kristian Bush] and I had about music, he asked me what my favorite record was,” recalls Ell. “It would be John Mayer’s Continuum. He said, ‘I want you to go record the whole thing. The only rules are you need to play all the instruments. I cleared my schedule for two weeks, and 8 a.m. to 3 a.m. I sat in an office and recorded the whole record. Worth The Wait is available now.